In a video, which was sent to family members and friends, Malvinder has alleged that Shivinder physically assaulted him before a board meeting of Prius Real Estate at their Hanuman Road office in central Delhi on Wednesday, December 5. Family feuds over financial and personal issues aren't new, but things turn ugly when these fights blow up out in the open. In a similar feud that is now making headlines, Fortis co-founder Malvinder Mohan Singh has accused his younger brother Shivinder Mohan Singh of assault. "Today is December 5th, 2018. Little after 6:00 pm, Shivinder Mohan Singh assaulted me at 55, Hanuman Road. He physically hit me," he is heard saying in the video. "He hurt me. He injured me (here). He broke this button. He gave me a bruise here. He bruised me here. And he kept threatening me and refused to budge until the team came together and separated him from me." Along with the video, Malvinder also posted a picture that showed him with a broken hand in a cast. He also said that he went to Ram Manohar Lohia Hospital for treatment, where he was told that he had internal injuries, reported the Times of India. Malvinder added that he did not file a police complaint after his family members advised him to settle the matter without involving the police. However, Shivinder and a few others close to him have denied the allegations calling it "fake" and "a lie," adding Shivinder wouldn't hurt a bird. While sources said that this was Malvinder's attempt to gain sympathy, Shivinder even went on to say that it was, in fact, Malvinder who attacked him. The younger brother also said that he had filed a police complaint on the incident but withdrew it after his family members urged him to do so. Their mother Nimmi Singh is said to have intervened to cool down the flaring tempers. 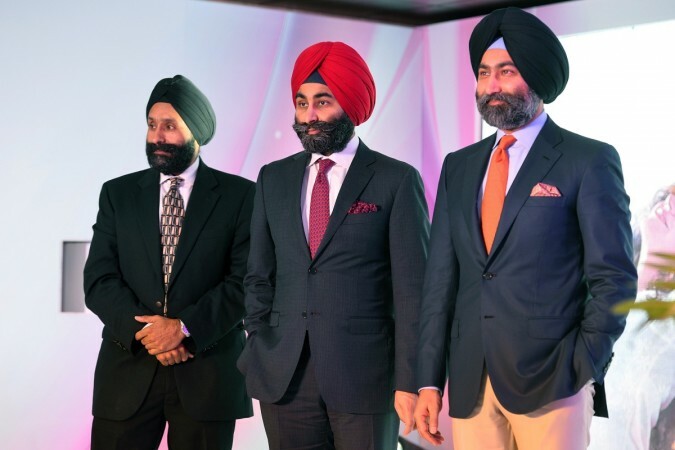 Malvinder and Shivinder are known to be feuding for a while now, since they incurred a loss of Rs 22,500 crore in business. Over the years, the family has also lost control of Fortis Healthcare and Religare Enterprises. Shivinder had also filed a suit with the National Company Law Tribunal (NCLT), in which he said that Malvinder had forged his wife's signature for illegal financial transactions, which resulted in the company's huge debt. He sued Malvinder for "oppression and mismanagement" of their companies, reported Business Today.